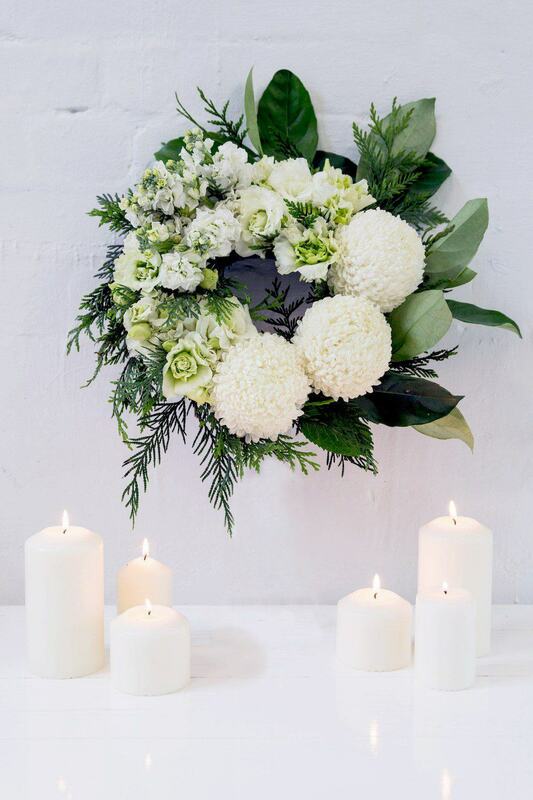 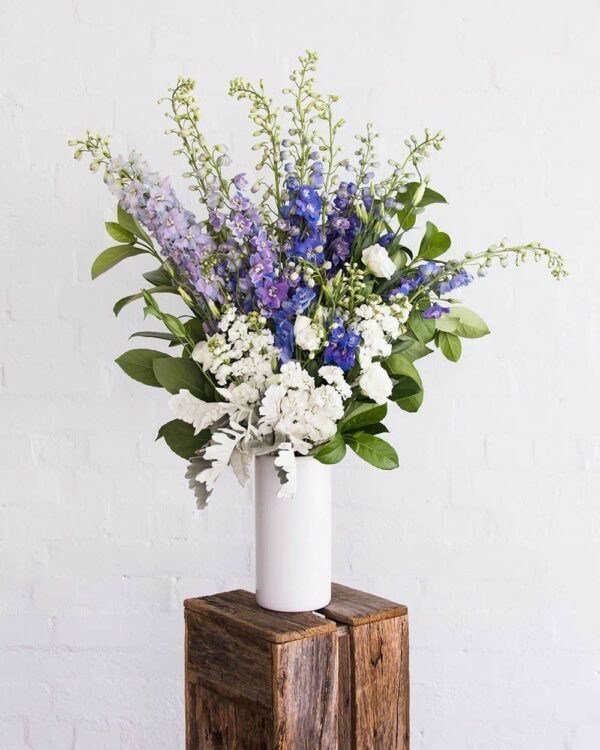 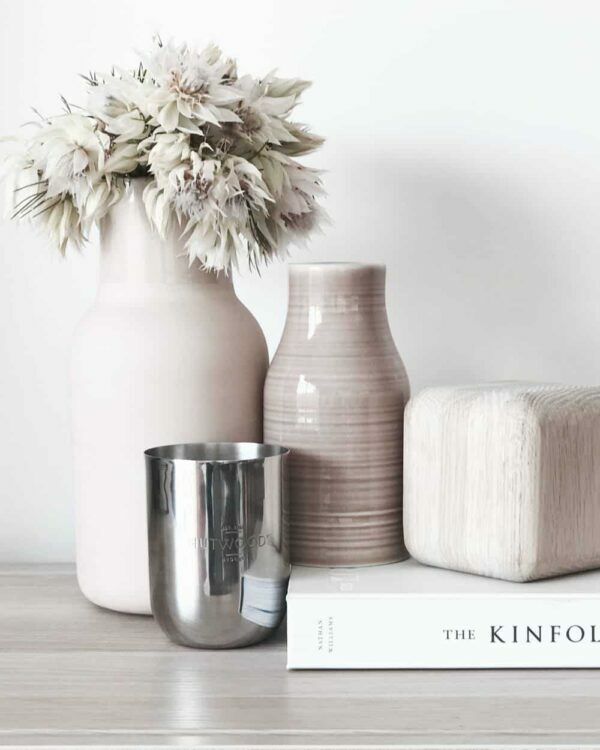 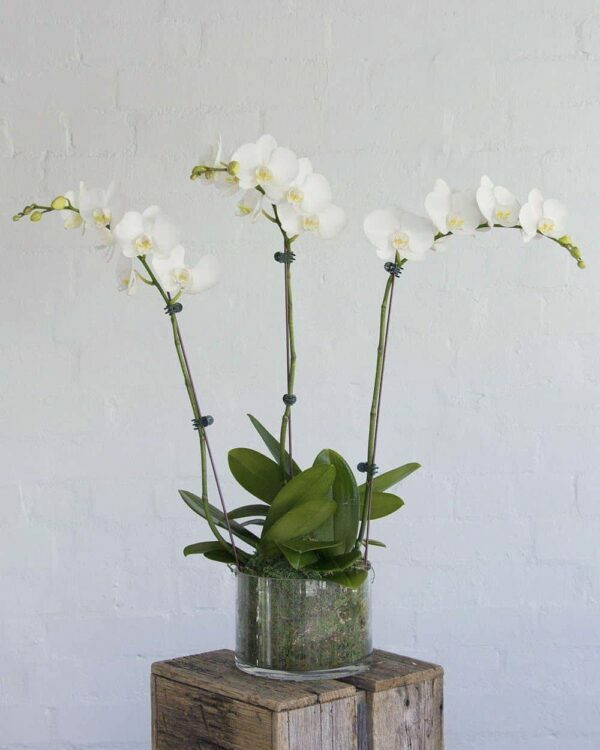 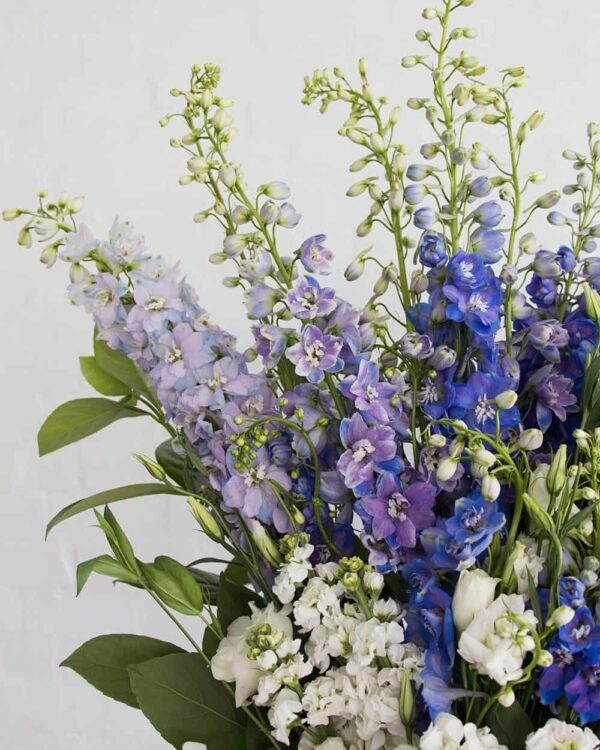 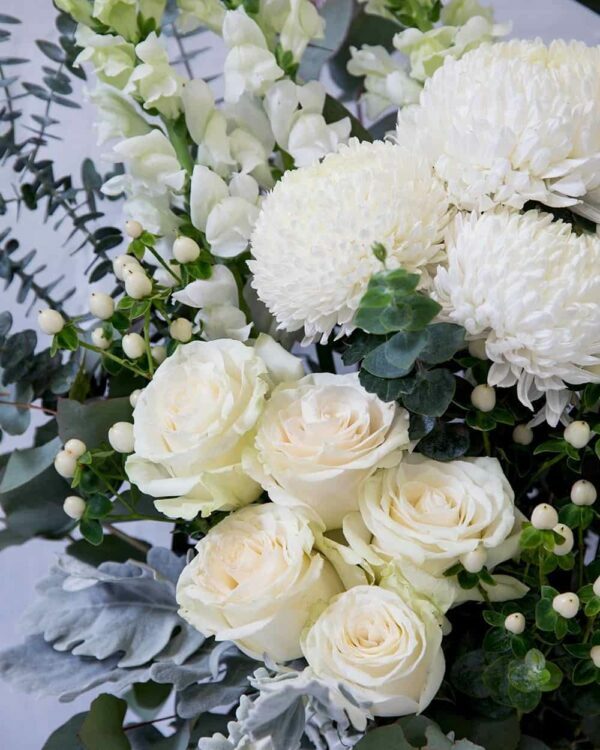 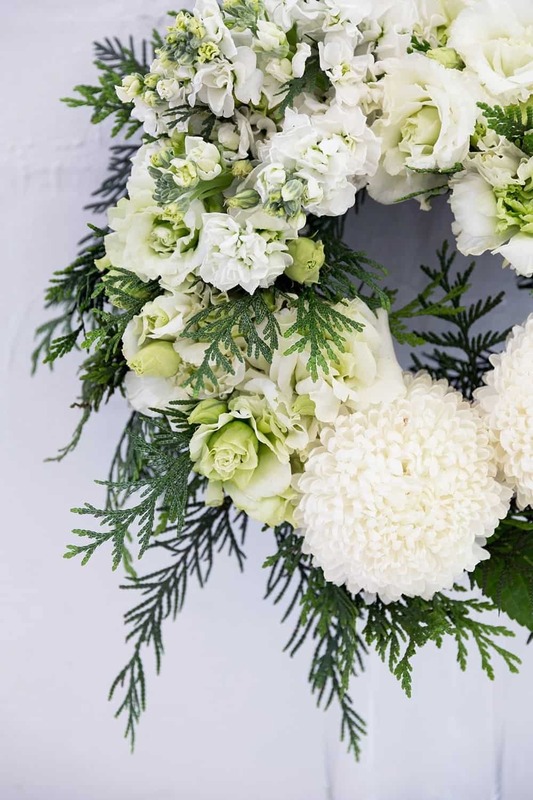 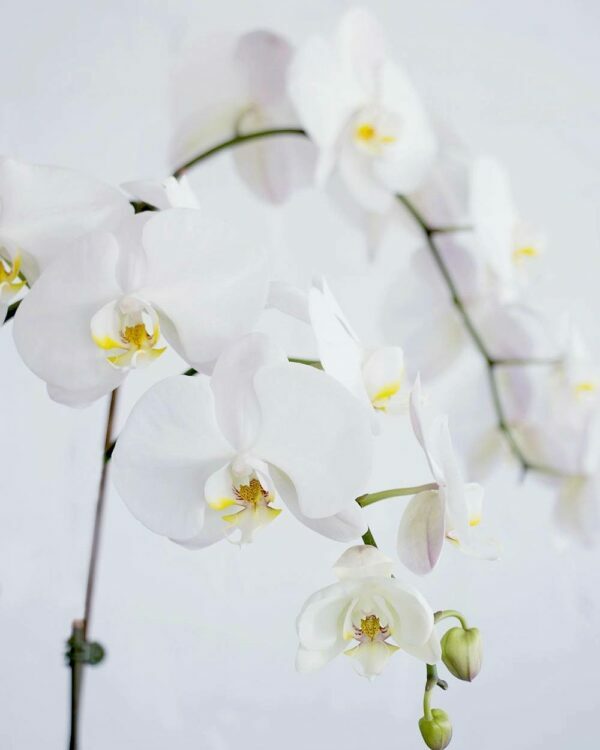 White flowers symbolise the passing of a loved one. 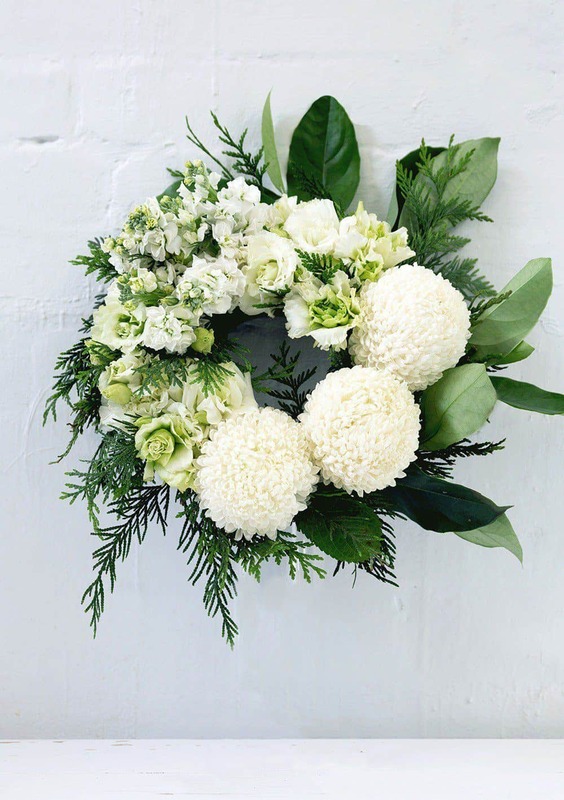 The Memorial Wreath tastefully sends love & condolences on your behalf. 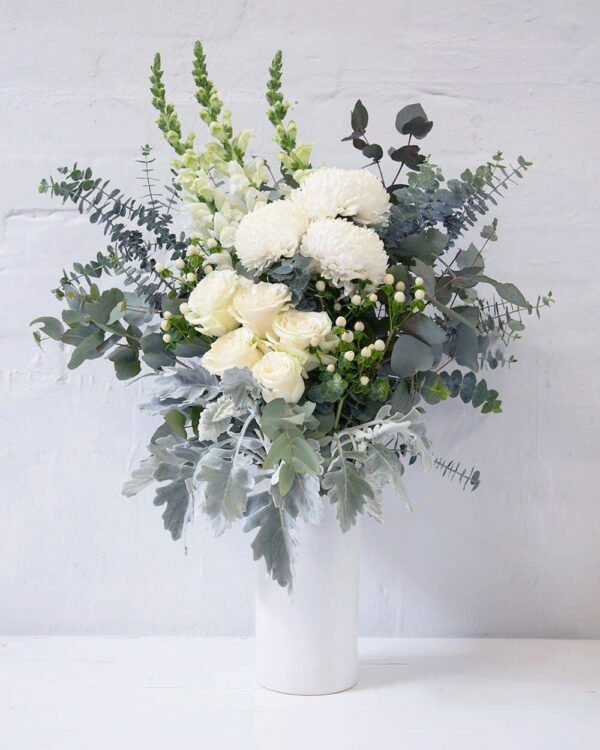 Subject to market availability this arrangement includes White Chrysanthemum, fragrant Stock flowers, Lisianthus, & complimentary foliage.